Many around the Fort Wayne area are still new to CrossFit, so let’s start with a little background. CrossFit is strength and conditioning model that was developed by Greg Glassman in the early 2000’s. CrossFit has now grown into a worldwide fitness movement seeking to help people live a healthier lifestyle. CrossFit combines everything from gymnastics, Olympic weightlifting, and endurance components such as, running, rowing and swimming. The goal of CrossFit is to create well-rounded athletes. We don’t want you to specialize, but to be good at everything. To dig a little deeper into CrossFit go to madapplecrossfit.com. The beauty of CrossFit is that we can get a lot of work done in a short amount of time. Most classes only take an hour, with a warm-up, skill/strength session, WOD (Workout Of the Day) and cool-down. But sometimes life gets in the way and we don’t have an hour and have to resort to doing 7 minutes of burpees in our living room (now doesn’t that sound fun!). If some days you were only able to do a few minutes of burpees after the kids went to bed, that’s great! Remember, this is a life-long journey to health and fitness. Commitment and consistency are key. We all have goals in mind when we start CrossFit, and sometimes we’ll reach those goals very quickly. But more than likely, it will take some time. We can’t PR (achieve a personal record) every time we walk in the gym. As cliché as it sounds, the moments that make us better, are the times we’ve failed. So, do your best, forget the rest and keep moving forward. When you’re crunched for time and trying to figure out a WOD to do, don’t complicate it. Work with the equipment and space you have. Use movements that you’re comfortable doing without a coach being there. And keep in mind; sometimes the hardest workouts are those without any equipment at all. CrossFit, at times, can be nothing but humbling. That’s why it’s best to surround yourself with people you enjoy. Who really likes going to the gym, putting in headphones and working out in a corner by yourself? Not me. 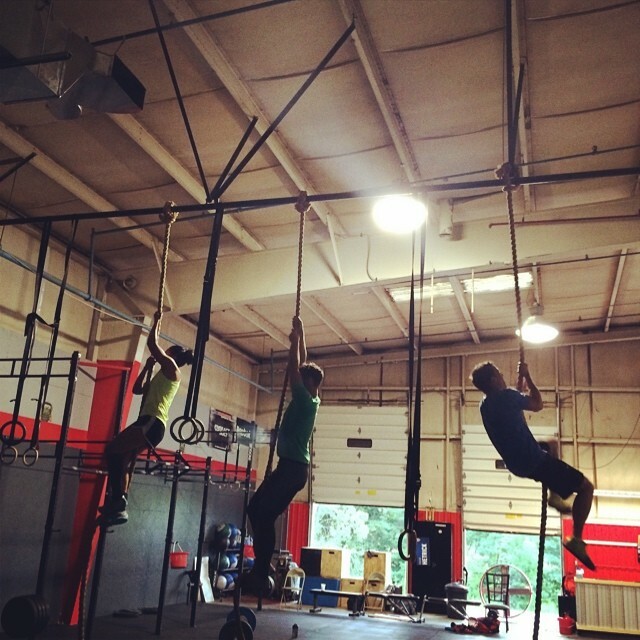 Half the fun of CrossFit is going to a class and spending time with friends. After a long day at the office, grab a buddy, sweat out the stress and enjoy it.